All City Plumbing & Sewers is a family oriented company that offers the fastest services for Denver and the surrounding cities. We specialize in solving your plumbing and draining issues for your home, office or business. Plumbing issues should never be put off because it may snow ball into a larger problem. 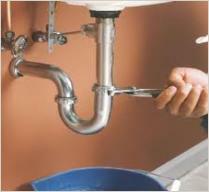 An experienced, knowledgeable plumber can be crucial in solving your plumbing issues. So, it's incredibly important to choose the right Denver Plumber and remember Customer satisfaction is our #1 goal. Satisfaction Is Guaranteed or You Don't Pay! We are here at your convenience 24hr / 7 days a week so don't hesitate to call us when a plumbing issue arises. It is imperative to hire a licensed, experienced and well trained professional because experience and quality makes the difference. We are quick to educate over the phone to minimize your damages until we able to arrive. Hiring an inexperienced plumber can lead to costly headaches. So, whatever your plumbing issue is, big or small, consider All City Plumber & Sewers. We offer quality drain and sewer cleaning services. We have affordable rates because there is no overhead. Diagnosing and promptly fixing the problem the first time is not an issue with over 15 years experience. We pride ourselves in quality plumbing, and remember Exceeding Customer Satisfaction is our #1 Goal. We acknowledge the importance of having a safe and stress-free environment for you and your family.